When one package contains the best from the Mediterranean, be sure that a supreme gourmet meal, which deserves your attention, is waiting for you. 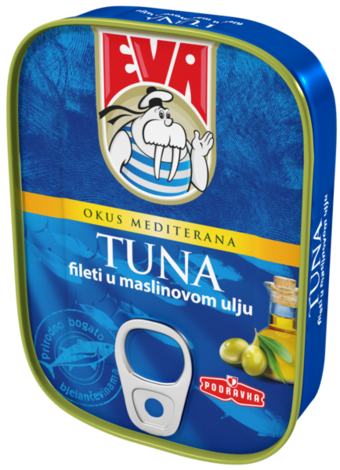 The finest tuna filets in high quality olive oil bring a lot of tasty pleasure. Can be served as a meal on its own, in salads, sandwiches or bruschettes, or for preparation of more complex meals; you can, as well, take them with you to journeys and trips to have a delicous meal - enjoy the quick meal without sacrificing the quality! Storage: in a dry place at room temperature. tuna (Thunnus albacares) min. 70%, olive oil max. 30%, salt.